In 1996, Eidos Interactive released Tomb Raider, a game that tells the story of Lara Croft, a British archaeologist seeking to uncover the secrets of ancient treasures. 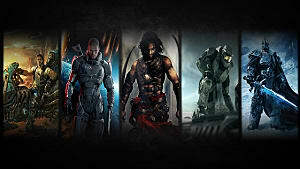 Both the series and its protagonist reached a status of icons of pop culture, but after two decades of existence, the developers of the franchise decided to take it to a new direction. On March 5th, 2013, Eidos released a reboot -- Tomb Raider (2013). 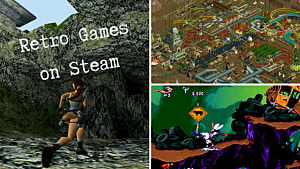 In this game, players have the opportunity to witness the events which transformed an average girl into the most renowned explorer of the video game industry. The experience begins with Lara in an expedition to find the lost kingdom of Yamatai. To reach the destination, her ship attempts to cross the Dragon's Triangle, in Japan. It all goes wrong when a storm hits the vessel, causing it to sink. Separated from her crew, Lara awakens inside a cave, from which she must escape. Upon finding her way out, she must track down any survivors of the incident. 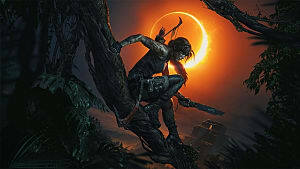 The game aims to humanize Lara Croft, unlike previous titles that portrayed her as a heroine wearing shorts and dual-wielding pistols, who behaved as a moving tank, blasting her way through any foes who dared to stay in her path. 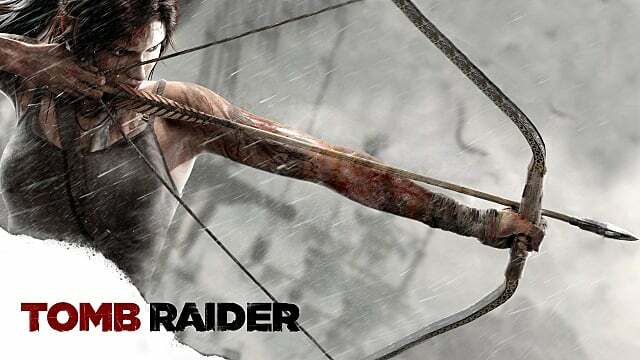 The intention of Tomb Raider (2013) is to tell the story of an average girl overcoming adversity and trying to survive. 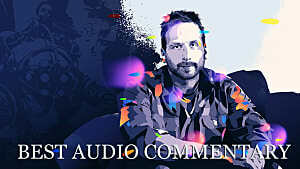 By doing so, it received praise from fans and critics. Scoring 86/100 on Metacritic (PC version) the game excelled on many fronts, including level design, gameplay mechanics and narrative, to new a few. However, there are some aspects of this production that could have been better and while the experience of being in the shoes of the most famous female archaeologist is enjoyable, there are some flaws in this game that cannot be ignored. With this said, there are many positive attributes in Tomb Raider (2013), but this article will address the points that the developers could have altered in the game to craft a more compelling experience. It is crucial to learn from the past, so we may design the experiences of the future and the next topics will detail some of the lessons we can take from the mistakes of Tomb Raider (2013). Disclaimer: This article is spoiler-free. Right from the beginning, the game communicates to the players that Lara Croft is not a heroine, just a mere ordinary person. The narrative emphasizes this through the many times when she displays weakness in the first minutes of the experience. During the opening scene, she needs the help of someone else to escape from drowning and when jumping over a ledge, she fails to hold the hand of a member from her crew and falls into the ocean. These moments suggest that, just as anyone in real life, Lara Croft needs other people and is not immune to mistakes. Unlike many protagonists in this industry, she is not perfect. She is a person. This is what the introduction tells. The prime example of the first five minutes of the story conveying Lara as a human being occurs when a piece of metal perforates her stomach and she screams in agony. When was the last time you heard a protagonist in a action game almost beg for mercy after suffering physical harm? 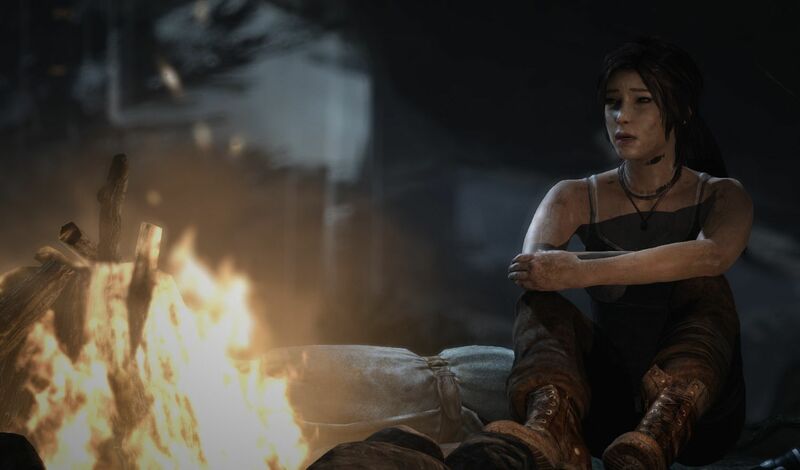 The game starts with players creating empathy for Lara and the narrative throughout the game continues to reinforce the notion that the protagonist is an average person, mostly through voice acting and body language. She clearly is not conformable with the situation and players can sense her fear. The game had all the pieces it needed to create a character with whom the audience could relate to, but then the problems started. Tomb Raider (2013) displays two different Laras. The one just described, who appears during cutscenes, and the other Lara, who shows up while in gameplay. As players control her, the game loses the emotional appeal built by the narrative. In the first enemy encounters of the story, players face few enemies and can eliminate them using either stealth or mayhem as modus operandi. The furtive approach works best with the narrative, as it emphasizes the point the story establishes of Lara not being a superhero. Given the context, it makes sense that she would try to stay undetected. However, even the chaotic method is still believable. In the beginning of the game, players only face one or two foes at a time. Getting the drop on them at the right time seems as a viable approach. However, towards the second half of the story, the game continues to deploy an increasing amount of enemies in the player's path. Most of the times, stealth is not even an option. The only approach the game provides is to murder dozens of enemies. This dehumanizes Lara. By this point, players lose the empathy with the protagonist, as the argument the game presents of her being a simple human being no longer holds true. In this industry, there is a term for this -- "Ludonarrative dissonance." This occurs when the message the plot delivers contradicts what the player does in the game. In the case of Tomb Raider (2013), the narrative sells the story of a person overcoming adversity and learning how to survive, but the gameplay shows her defeating in combat even the most skilled of the guards (above). Gameplay and narrative must reinforce one another, as opposed to conflicting, otherwise it will compromise the character development and the empathy the audience feels towards a protagonist. In this game, there is a contradiction and this diminishes the emotional aspect of the experience. It is worthy noting; however, that the reason why the developers at Eidos started to make players face more enemies as the game progresses is comprehensible. Their goal was to maintain the interest of the player, by increasing the challenges Lara must overcome. While their approach has a justification, it was not the best they could have chosen. Many games rely on merely adding more enemies in its levels to keep the player engaged after hours into the experience, but there is another method developers could have used to keep difficulty increasing. One that would make the narrative and the gameplay work in tandem. 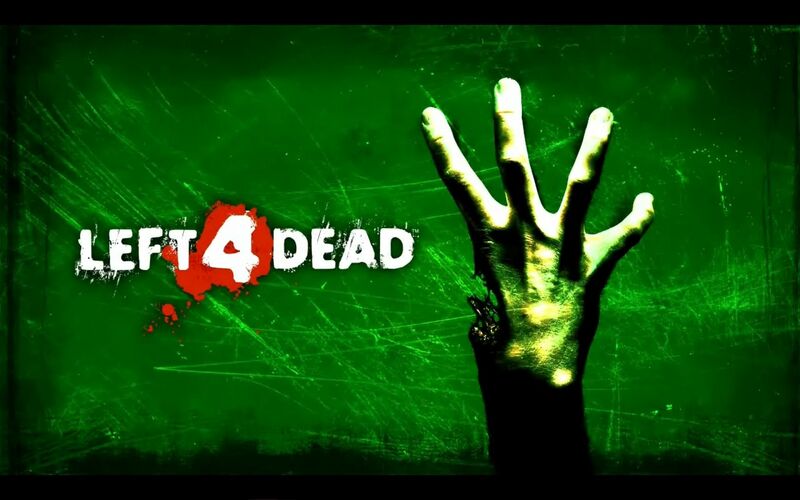 In 2008, Valve released Left 4 Dead, a game where players need to survive the zombie apocalypse. This title contains an interesting feature -- Dynamic Difficulty Adjustment (DDA) (or the Director AI). This is a system that adjusts automatically the Artificial Intelligence (AI) of enemies in combat, in order to keep the experience interesting for both experienced and novice players. The use of this technique dates back to the first Crash Bandicoot game in 1996, but the concept continued to evolve since then and one game released close to Tomb Raider (2013) shows how it could have used this technology. In Metal Gear Solid V: The Phantom Pain (2015), players must infiltrate military camps and bases. They can chose either stealth or mayhem to accomplish their missions and players will rarely find enemies by the dozens. Instead, the foes adapt to the behavior of players. For instance, if the user decides to eliminate targets delivering head-shots with a sniper rifle, soon the enemies will start to wear helmets, forcing players to look for a different strategy. By investing in the technology of adaptive AI, Metal Gear Solid V: The Phantom Pain forces players to constantly improve their skills, but not by placing more enemies in the map, as Tomb Raider (2013) and many other games have done. Instead, this title focus on quality, not in quantity. Tomb Raider (2013) could have used a similar approach, by making players face fewer enemies at once, but the AI could learn how to counter the techniques of the player, thus becoming smarter as the game progresses. 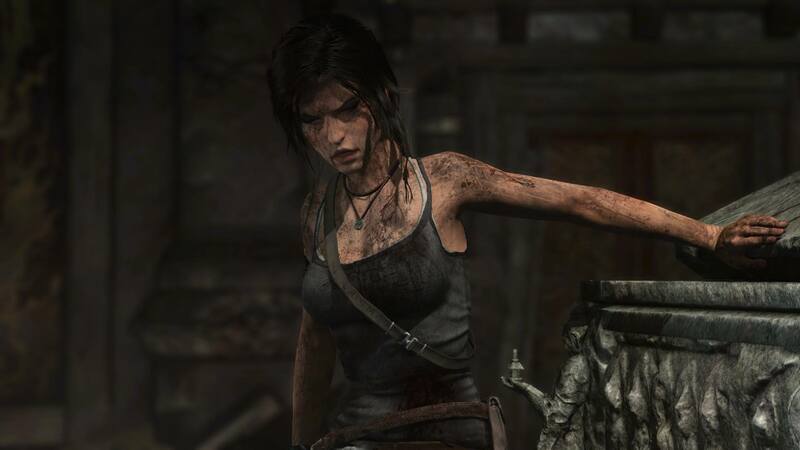 This approach to increase the challenge of the experience would have helped to emphasize the weaknesses of Lara in Tomb Raider (2013), thus supporting the message the narrative of the game sends of her being a girl trying to survive. Regardless of choosing stealth of mayhem, players would need to constantly reevaluate their approaches, in order to catch enemies off-guard and eliminate them. This method would make the narrative and the gameplay complement each other, as opposed to displaying an average girl in the previous and a murder machine in the latter. However, making this change would have direct impact in the dynamics of the game, especially in the design of the maps, which mappers developed with a large number of enemies in mind. This brings us to the next topic. In certain segments of Tomb Raider (2013); however, it makes sense for Lara to encounter several enemies, ultimately leading to their death. The picture above displays an example. This map takes place in a shantytown. This is where the enemies live; therefore, it is reasonable for it to be crowded with hostiles. So, how could developers have reduced the number of enemies, without making a large area look empty? To discover how, let us look at a picture from real life. This photo is from Rio de Janeiro, Brazil, the city where I was born and currently live. In it, there appears a shantytown, or "favela", as these locations are colloquially known in the country. In this image, we see a street surrounded by improvised domiciles. If developers had adapted this location to Tomb Raider (2013), it would have created a close quarters situation, in which it would make sense for players to encounter few enemies at a time, without making the area appear barren. 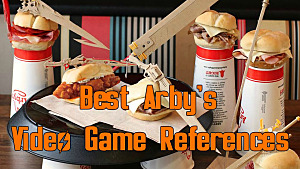 It is also worthy noting that, as buildings would constrain the field of view of players, this would also add tension to the gameplay, opposing the arena-style map that developers implemented in the game. Furthermore, the many windows of the houses could act as hiding spots for enemies to use strategically, ensuring that the game keeps hard, despite the low number of foes, thus supporting the addition of the DDA technology. This approach would emphasize the survival aspect of the experience and would support the narrative in its claim of Lara being a girl learning how to survive, as she would need to outsmart the opposition, rather than emerging victorious after a bloodbath with dozens of armed guards. There is; however, another reason for developers to make the shantytown a large open space. It helps to communicate to players the size of the environment, but another action third person game gives a solution to show players how large the area is, even in close quarters. In the seventh chapter of Max Payne 3 (2012), players guide the protagonist through a favela in the Brazilian city of São Paulo, navigating through tight streets. The objective of this mission is to reach the top of the slum and upon completing this task, the developers of the game designed a segment that allows players to see the favela from the top and get a grasp of its magnitude (above). 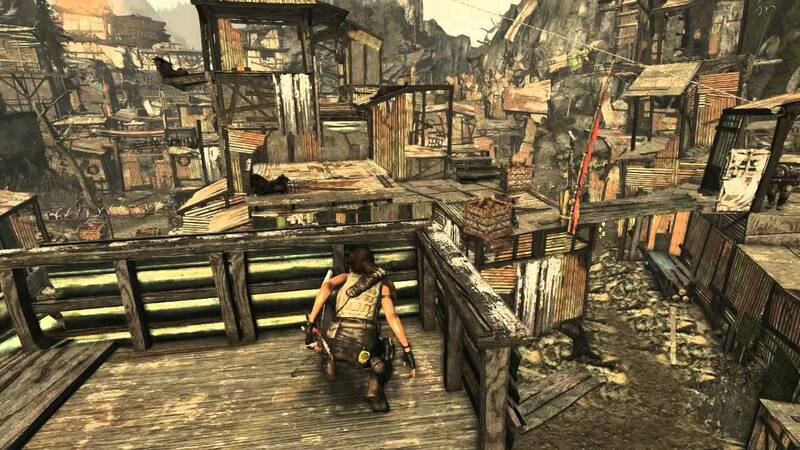 The developers of Tomb Raider (2013) could have used the same approach of turning the shantytown into a sequence of tight streets, in order to allow Lara to use tactics to either defeat or avoid the foes and present players with a view from above of the area they have just been, in order to communicate its size. The paragraphs above describe the example of a large area that could have been smaller, in order to keep the gameplay from conflicting with the message the narrative sends. This argument, however, is not to be mistaken for an urge to make the game more linear. There are portions of the world of Tomb Raider (2013), in which the mixture of a large environment and many enemies does make sense. In forests, for instance, despite the possibility of encountering many foes at once, the level design grants to players hiding spots, thus allowing them to use the environment to their favor and get an upper hand on enemies. However, the level design of certain locations, including the shantytown, do not allow this to happen, as the game leaves players with no other options other than engaging in combat with dozens of armed guards. These are the areas that needed to change. There is, however, another factor in the level design that contributes to the dissonance in the ludonarrative of Tomb Raider (2013), which the next topic covers in detail. In Tomb Raider (2013), players need to climb mountains and houses to progress through the map and reach their destinations. Many games use climbing as a means of locomotion, Uncharted (2007), Dying Light (2013), The Last Guardian (2016), to name a few. Game developers implement these sections in their games for two reasons. "A game is a set of interesting choices." Even in a title as linear as Call of Duty, players choose all the time. They need to pick the best weapon, determine which opponent to attack first, judge whether they should "run and gun" through the enemy line or take cover. To name a few of the options players must consider. In combat, players make choices all the time and the excess of fighting will lead players to "decision fatigue," which is what happens once they play for too long, make too many decisions and become mentally tired. This ultimately leads to "decision avoidance," which occurs when an exhausted mind ceases to make decisions altogether. In gaming, this is the moment when players stop playing. 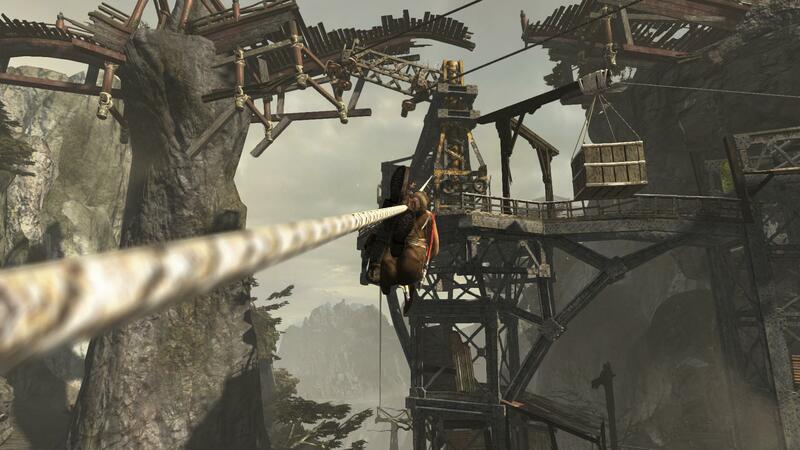 The climbing sections exist in video games, in order to make sure the player has time to rest from the decisions made in the previous fight, thus prolonging play time. 2 - Despite the developer's desire to alleviate tension after a fight, the game still needs to let players perform an action. If all the players need to do is walking towards their objective, then the game risks becoming monotonous. Climbing segments exist, in order to keep the player engaged in an activity that is less intense than combat, but not easy enough for the audience to find boredom. While the climbing mechanics work well in Tomb Raider (2013), it raises the same problem the combat of this game does -- it contradicts the story. While the narrative tells to players the story of an ordinary girl, gameplay depicts her doing moves that not even the most experienced climber would perform. This is not to say; however, that climbing should not exist in this game. Despite not being realistic, it creates moments of awe and adds a new dimension to the world of Tomb Raider (2013), as players need to move upward, instead of exclusively forward. In video game development, designers need to make the game mechanics convenient. 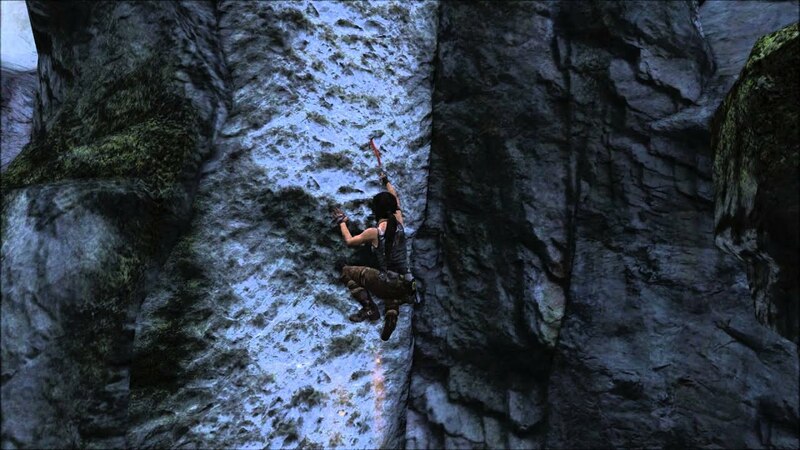 In real life, the climbing Lara does in some parts could take hours, but no player would want to see that in a game. With this in mind, developers give to the main character superhuman strength and agility. However; the movements need to look natural, otherwise they will be visually jarring for the audience, unless there is a justification in the story for that, as in the inFamous franchise, where players control a superhero; lifting the disbelief of the players. 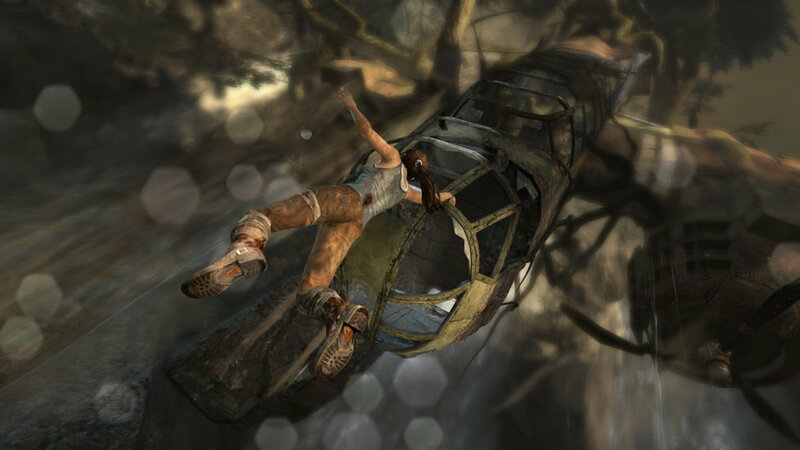 In games involving mundane human beings, it is important for the developers to find a balance between realism and functionality and in Tomb Raider (2013), they were close to discovering an equilibrium. It only lacked one element. The developers, could have implemented a method to humanize Lara as she climbs the mountains of Yamatai. To achieve this, they could have taken inspiration from a game released eight years before Tomb Raider (2013) hit the store shelves. In Shadow of the Colossus (2004), players must climb gigantic creatures, in order to defeat them. 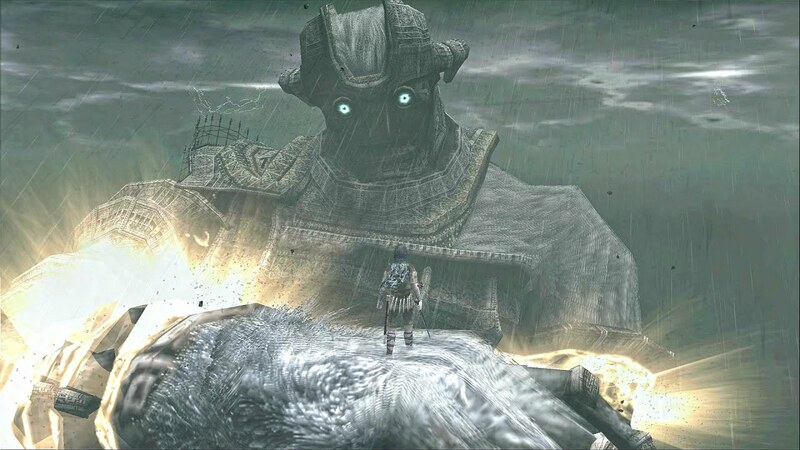 Taking down a colossus is a task that seems impossible to achieve, but the developers found a simple way to humanize the main character. As players climb their way up the creatures, they must pay attention to their stamina. If it runs out, players will no longer be able to climb and will drop from the position they are climbing. They will only be able to proceed after resting. In order to make Lara Croft in Tomb Raider (2013) seem more human while climbing, the designers of this title could have implemented stamina as a game mechanic for players to manage. If it runs out, Lara would fall to her death. Video game mechanics strive to find the balance between verisimilitude and functionality. Adding stamina while climbing would make Lara feel more real, whilst maintaining the thrill of climbing mountains in the game, thus potentially finding a balance between realism and fun. Despite the aptitude Lara shows for overcoming the obstacles nature imposes, her journey through the island is not always smooth. Accidents do happen and these instances help players to empathize for the protagonist, but only until a certain point. This is the problem addressed in the next topic. In Tomb Raider (2013), players perform stunts that can go wrong, sending Lara to slide down a mountain or fall down a cliff. This is a technique employed by the designers, in order to make the protagonist seem human. Everyone makes mistakes, after all. 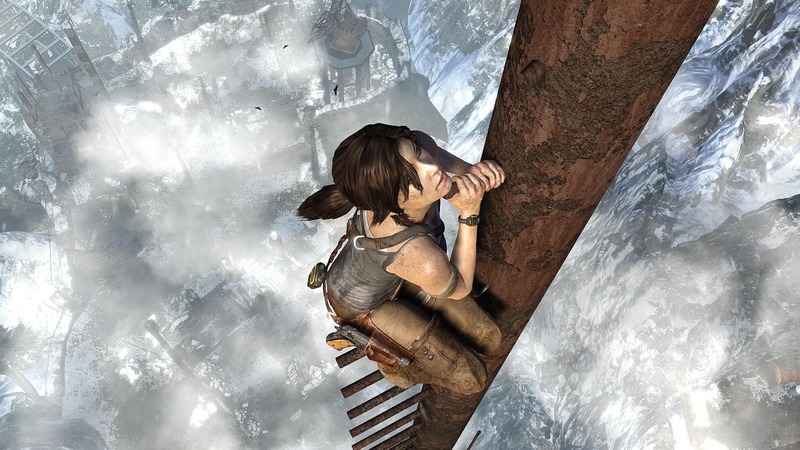 In the initial stages of the game, this was a powerful technique to make players empathize with Lara, as they become concerned for her well-being once she starts falling or rolling towards her possible "death". The narrative splits this type of scene into two categories. One in which players need to control Lara and lead her to safety as she either rolls or slides downhill and one where players simply watch the action unfold. This article will discuss the previous in the next topic and will address the latter now. The problem is that these action scenes when all goes wrong and yet Lara still manages to escape without player input happen too often in the narrative and players are aware of this. The human mind seeks patterns everywhere and it does the same whilst people play a video game, through the concept known as "pattern recognition". The authors Michael Eysenck and Mark Keane explain in their book Cognitive Psychology: A Student's Handbook. "Pattern recognition describes a cognitive process that matches information from a stimulus with information retrieved from memory." In the context of Tomb Raider (2013), the game creates the pattern of these scenes always resulting in a Lara surviving. As a consequence, players cease to care for her safety. Instead of being concerned, the audience will simply think "oh well, there she goes again", waiting for the scene to end so they can continue playing, because based on past experiences, they already know how the sequence will end. This is not to say; however, that this type of scene has no place in Tomb Raider (2013). The problem was not found in the scenes themselves, but on how often they happened, to the point of becoming predictable. Just as any other thing in this world, if it is found in abundance, it will lose its value. In order to make players feel a greater attachment with Lara, there could be less action scenes where all goes wrong, because players detect the pattern of Lara always escaping, thus losing the emotional appeal of these sequences. In a game where players experience a shipwreck, escape various stunts and need to take down an army of enemy soldiers, it may seem absurd to claim that there is a lack of danger, but there is, in some sections of the experience. The picture above depicts a fine example of these portions of Tomb Raider (2013). In it, Lara needs to climb to the tallest part of the map -- a radio tower. She uses a ladder, but it soon collapses and she must grasp to what is left of it, to make her way upward. While this scene provides players with dazzling images, it fails to illustrate the danger of the situation. No matter what happens, Lara cannot die. All the player needs to do is press the button configured as "up" in the keyboard, or controller, and the game does the rest. There is no real danger or sense of emergency. Before addressing how to fix this issue, let us take a look at another game in which players need to overcome a dire situation, in order to reach an objective. Released in 2004 by Valve, critics claim that Half-Life 2 is one of the best games ever made, as its 96/100 score on Metacritic indicates. The reasons for this are plenty, but one of them is how naturally the game creates tension. One example is the bridge level halfway through the experience. 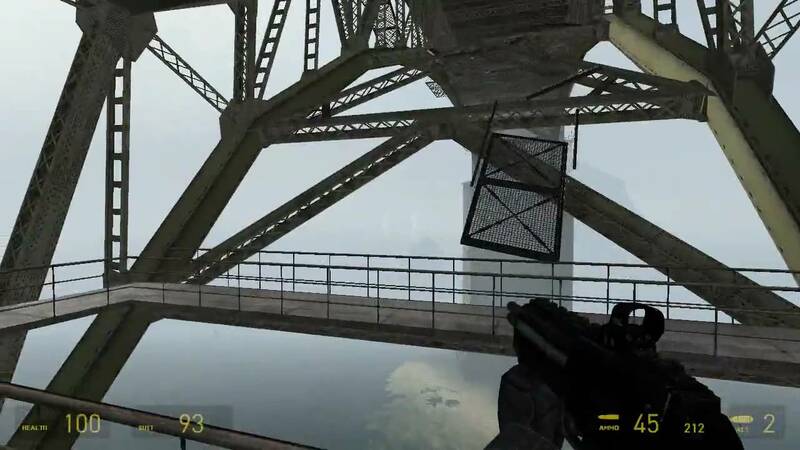 In this chapter, players need to cross a bridge from underneath it, but the catwalk normally used for this purpose has collapsed. The only alternative left for the players is to cross to the other side by walking on the structural support of the bridge. There are no invisible walls. As players walk and jump in this section, they need to keep track of their steps. A single bad move will send the protagonist falling into the river below, ultimately killing him. Half-Life 2 excelled where Tomb Raider failed. In the previous there is a real sense of danger and players must put their skills to the test in order to survive, while in the latter there is no risk, as players just need to keep pressing a button and watch the scene unfold. The radio tower segment shows an example of a moment in Tomb Raider (2013) that could have had greater tension. However, to be fair with the game, there are other segments where players do need to use their skills to escape from a bad situation.The image below shows the gruesome death players face upon failure. Considering that in some actions scenes, player can indeed meet their demise, they could have used the same approach in the radio tower sequence and in other portions of the game where no actual danger exists. The radio tower scene offered a marvelous sight and if the developers had combined it with a great challenge for players to overcome, it could have been one of the most memorable moments in gaming. 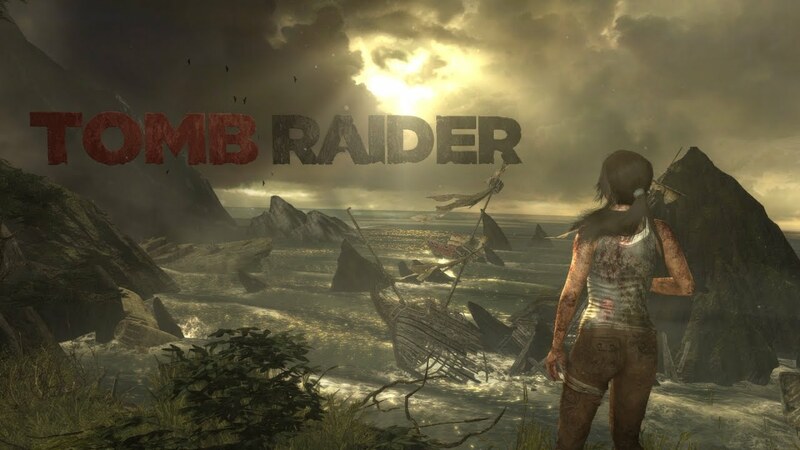 By not adding any real danger or difficulty, developers at Eidos lost an opportunity to create a moment that could linger forever in the minds of those who played Tomb Raider (2013). Tomb Raider (2013) features regenerative health, a common aspect of modern gaming. Some players argue that allowing the main character to heal automatically is not realistic. While this is true, there is a reason why regenerative health exists. Imagine that two people are playing a game that does not feature regenerative health. Both approach an area filled with hostiles. One player has 1% of life remaining, whereas the other still has 100%. While extreme, this situation can occur. With this said, the level designers must craft a combat that is possible for both players to win. This is a problematic situation, because the game may become too easy for the player with 100% of health. In order to avoid this problem, regenerative health was created, because with this feature, the designers know exactly how much health a player will have upon entering an area and can design the combat therein specifically for that amount of life, thus optimizing the experience to the player. However, managing a health bar and chasing health packs still has a place in video games. They are often used in the survival genre to emphasize the element of surviving in an uncharted environment. With this said, Tomb Raider (2013) could have been developed with a traditional health system instead of a regenerative one, in order to emphasize the survival aspect of the production, but the developers could have gone even further and get inspiration from another title. In Metal Gear Solid 3: Snake Eater (2004), players control the legendary soldier code named "Naked Snake" infiltrating a Soviet forest during Cold War. In order to communicate the element of survival through the mechanics of the game, the developers innovated in regards to the health system. As players progress through the story, they will take damage sooner or later. When this happens, the main character suffers injuries, which may include, burns, broken bones and open wounds, depending on the type of hit the player takes. In order to heal, players must gather supplies, ranging from antiseptics, stitches, bandages and more, in order to treat the injuries. This makes the player feel a closer attachment to the main character, as they must actively take care of him, in order to sustain his health. 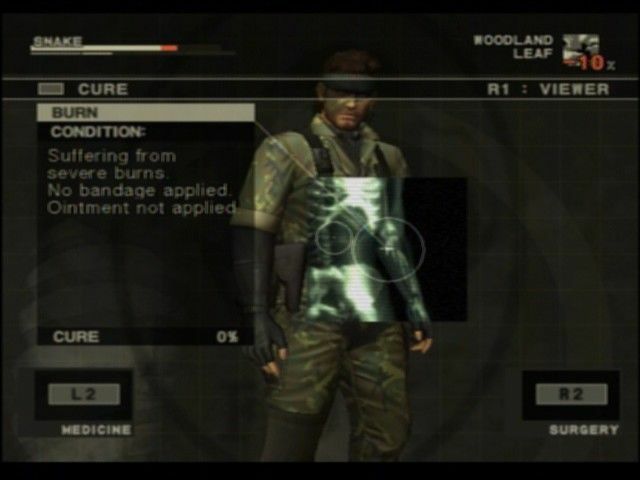 Moreover, this system also makes the character more human, as it shows the fragility of the body of Naked Snake. 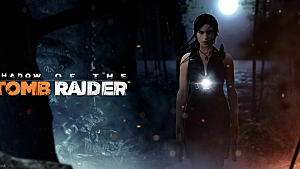 If Tomb Raider (2013) had adopted a similar system, it would have enhanced the survival aspect of the experience, while allowing players to foster a greater connection with Lara Croft. 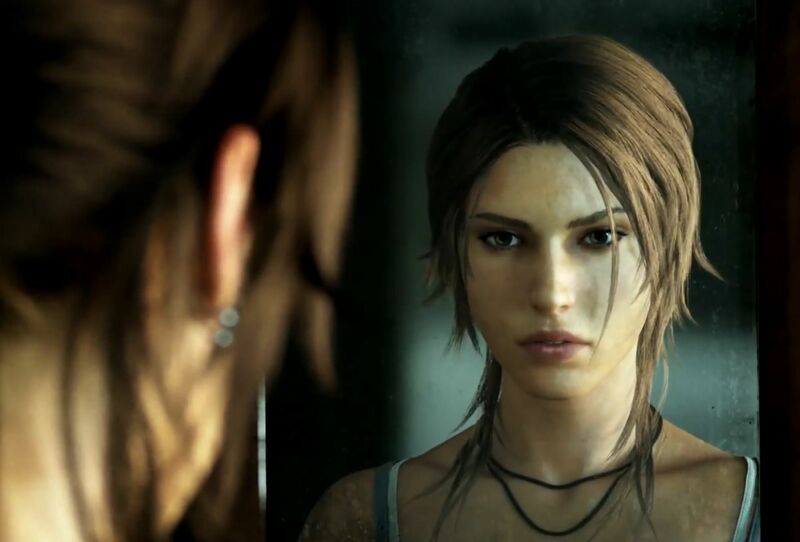 The topics above regard how changes to the dynamics of the game could have improved the element of survival in Tomb Raider and the emotional appeal of the experience, through the character development of the protagonist. The next and final topic; however, will address the rest of the cast of this game. 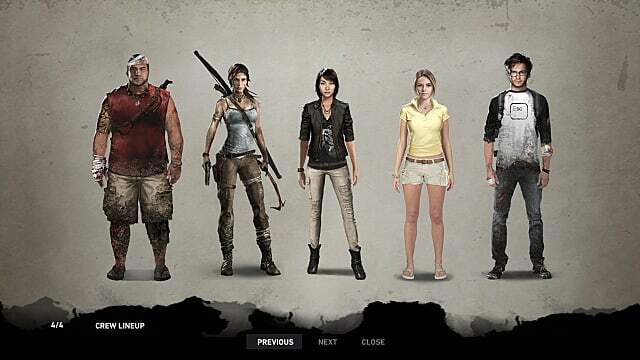 Tomb Raider (2013) features a large cast, with the eight survivors of the Endurance ship, including Lara. However, as players do not see most of the crew throughout the game, they do not have a chance to bond with them, thus diminishing the emotional impact of the experience. This occurs, because Tomb Raider (2013) prioritizes quantity over quality and it follows a common trope of video games -- having a large cast that provides little to no assistance to the player, hence leaving the question of why these characters are part of the story in the first place. It would be preferable to have a smaller group, or even a single sidekick, to act as Lara's backup in certain occasions. Think of your favorite non-playable character (NPC). Odds are you depended on he/she to complete the goal of the game. In Half-Life 2 (2004), Alyx Vance saves the life of the protagonist in certain occasions and they fight alongside each other. In The Last of Us (2013), the ultimate goal is to guard the life of Ellie. In Mass Effect (2007), the audience commands the squad-mates, in order to succeed in battle. In all these games, players depend on NPCs. Creating a relationship of dependence between the protagonist and an NPC is one of the most effective methods to make players become concerned over the well-being of a character, thus adding emotional depth to the experience. 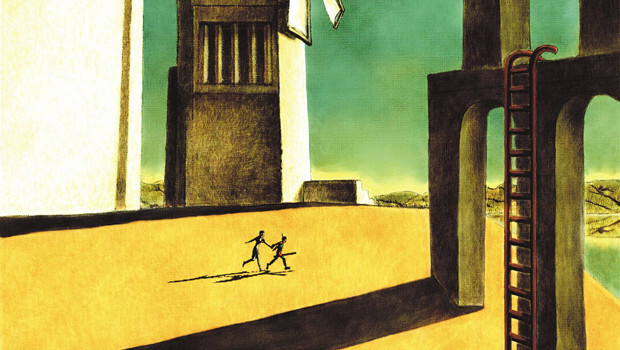 One of the finest examples of this technique in practice is the game that preceded The Last Guardian (2016) and Shadow of the Colossus (2004) -- Ico (2001). The lack of the Yorda Effect summarizes the problem with the cast of Tomb Raider (2013). Lara goes onto a lone adventure as the other characters remain nowhere to be seen during most of the game. In certain occasions, characters die and their deaths confirm the little personal attachment players have with them. The loss of a member of the crew is meaningless, as they never impacted the game in the first place. Once they are gone, all remains as it always was. "Death should mean something to the player, especially when it isn't the main character dying." 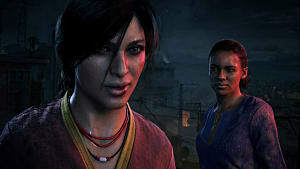 In order to increase the personal attachment of the player with the NPCs, the developers could have given to each one a way of cooperating with Lara. For instance, during the night sections of the game, a character located on a higher spot could tell Lara the position of the enemies, thus facilitating stealth. If this NPC dies, the furtive approach becomes harder and the player will miss the character. This approach would create the interdependence Scott Rogers details in his book and would develop a more emotionally appealing cast, as they would play a bigger role in the success of Lara and impact directly how players experience the game. This is not to say; however, that the NPCs must work as hard as Lara does. The playable character is the star of the story, after all, but that does not mean that NPCs must leave all the work to the player either. Developers must find the ideal balance between these two situations, in order to create a cooperation that will evoke strong emotional bonds. The Yorda effect is a technique game designers should seek more often, in order to create titles that are more mature and create more intense feelings. Unfortunately, in most games, NPCs merely hand quests and remain unseen for most of the story, leaving a lot of potential to build meaningful relationships untapped. 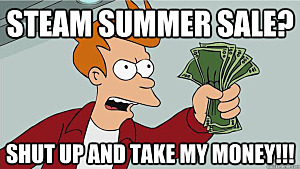 This article does not intend to diminish Tomb Raider (2013) by any means. The game deserved its 86/100 score on Metacritic, but nothing is perfect. There always is room for improvement. Through these topics, this article detailed how the ludonarrative dissonance is detrimental to the experience of the player, and discussed how to alter the dynamics of the game. This is all to build a gameplay that matches the proposition of the narrative -- of Lara being an average girl overcoming adversity and learning how to survive. We also now understand how the health mechanics of the game could have been redesigned, in order to place more emphasis on survival. On top of that, how to make players feel connected to the NPCs to create a more emotional experience. With all this being said, while Tomb Raider (2013) deserves the praise it received, there are some areas of the game that could have been better, but as game development needs to follow a strict budget and schedule, perhaps the developers had ideas similar, or even better, than the ones presented in this article, but lacked the money and the time to execute them. The intention of this essay is to find elements of this title that could have been better. You may or may not agree with the observations presented herein, but we cannot simply state that a game is good and move on. There are design decisions we have come to accept in gaming as "just the way games are," including the succession of improbable stunts and the mass murder of enemies, but we cannot accept this. Relying on the status quo is a dangerous thing to do. If we never challenge the ideas presented in games, new concepts will not rise and the future of the medium will become stagnant. We can build the posterity of gaming through discussions, which will inspire ideas that will drive the industry forward. I want to help build this future. What about you?